For all those corrida fans, ELK Studios, a game development company specialised in building mobile casino games, brings a fierce bullfighting game which will offer us pure fun and enjoyment. New slot filled with interesting characters spread across five reels and four columns, has even 178 ways to win and many special features which will surely be an excellent choice for all high and low bidders since it can land you up to $225,000. What we definitely like the most about this game is Toro, not only a raging bull but also a loveable beast that earns our respect and admiration fighting the sleek Matador. It is definitely enticing to be siding with the bull and help him knock the cruel Matadors out of the reels, not to mention all the special features that the bull brings to the game. Toro has two modes, the Walking Wild that goes from left to right and each time it lands on the fifth reel it will move to the next reel giving you a re-spin for every reel move. You will get 4 re-spins in total as the feature lasts until the Toro reaches the first reel, when all of your winnings will be accumulated. When Matador appears on the grid, the bull turns into Wild Toro, raging and knocking matadors of the table. This particular feature called the Toro Goes Wild is presented in a brilliant innovative touch which brings visual excitement and enticement to the table. Additionally, the Toro Goes Wild is a rewarding feature offering substantial amounts which can amass to whopping $225,000. We also appreciate the fact Wild Toro is a fitting tribute to Spanish corrida with suitable graphics filled with classic details and accompanied by the fairly impressive soundtrack. The taste of Spain will hit you from the first beat, adding great spice to game’s dynamics as well. 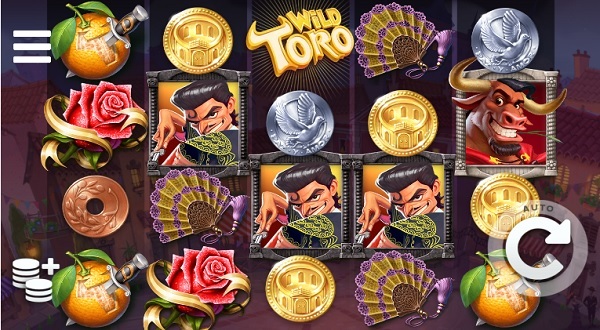 Wild Toro features simple, yet quite distinctive and fairly engaging features which bring great fun but substantial rewards as well to all the players who decide to join the corrida. We have been overly impressed with ELK Studios’ latest title and if we had to talk about the game’s shortcomings, than it would definitely have to be the affordability. 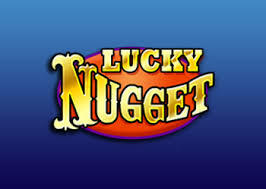 The game offers great amount worth $225,000, but you will hardly ever achieve it without investing the top bet of $100. The amount can be quite pricey for the majority of players who are beginners or casual gamers and that is one – and arguably the only – shortcoming to this engaging title. Joining the corrida for a round of bullfighting spins will prove to be well worth your time and money. The game houses distinctive features and fun details fitted inside the five reels of this latest ELK Studios release. It is not too often that we get to see a moving Wild and in the shape of a bull, which is a detail that gives great value – both rewards-wise and in visual sense of the word. Have a spin or two and you won’t regret it. We guarantee it.